We offer full-service lawn care that you can depend on. Nature’s Turf is committed to providing excellent lawn care and amazing service — it’s that simple. Our highly trained lawn care specialists in Senoia, GA understand the different needs of different types of turf. We cater our services to your lawn’s specific needs in order to keep your grass green, healthy, and thriving for years to come. 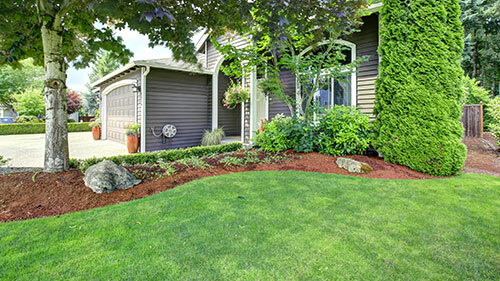 Nature’s Turf, Inc. is a local team of highly trained lawn specialists. We understand that every home or business has different needs which is why we offer customizable plans so that you can get the exact lawn care services you need without the hassle. Nature’s Turf’s lawn treatments in Senoia, GA are all backed by a 100% customer satisfaction guarantee! We do not require you to sign any contracts or make a long-term commitment. Our family owned and operated business has been serving the Senoia community since 1977. We would love to partner with your family to create a more beautiful lawn for your home whether you need lawn pest control, disease control for your lawn, or weed control in Senoia, GA. Call now to learn more! If you want your lawn to reach its full potential then you’re going to need the experts at Nature’s Turf. We will go above and beyond to make sure that your grass is green, lush and healthy. With an individualized approach to lawn care in Senoia, we would never complete a set of predetermined steps on your yard. We consider both you and your lawn to be our customers which means we will give it the attention and unique care that it requires to make your grass thrive, including lawn fertilization and weed control when needed. Maintaining the health and appearance of the trees and shrubs in your lawn take a lot of time and energy. This is especially true in Georgia where pests and disease so often can affect the health of the foliage in your yard. Lucky for you, our Senoia tree and shrub specialists can complete all of the maintenance that they require so that you don’t have to worry about it. Whether you are dealing with fire ants or have grubs taking over your lawn, there is no need to fret. With the professional lawn pest control team at Nature’s Turf on your side, you can be sure that you will not be worrying about these pests for much longer. We know precisely how to eradicate your lawn of all the unwanted bugs that may be causing it issues while also being gentle on your turf at the same time. Also known as core aeration, having your lawn aerated entails having small soil plugs removed from your lawn to help fight soil compaction, a necessary step of lawn care. If there is a buildup of thatch in your yard, this may be the solution. Improve the air exchange between soil and atmosphere, as well as enhance the soil water uptake when you use our lawn aeration services in Senoia. Mosquitoes, especially in this part of the country, are extremely resilient pests. Not only can they ruin your outdoor experience when you are spending time in your yard, but they also carry diseases, putting you and your family at risk. Our mosquito control services in Senoia, GA will get rid of existing mosquitoes and eliminate mosquito breeding grounds before you have these pests all over your yard. Enjoy spending time outside of your home when you allow us to treat your lawn for mosquitos and other pests.